The Tree House serves as the home of the Walworth County Child Advocacy Center, a service of Children’s Hospital of Wisconsin. It is where children come for help if they’ve been abused physically or sexually, neglected, or exposed to domestic violence. In 2014, more than 1,000 children were referred to the Center and received services. The work that the Tree House accomplishes in our community is unparalleled and unfortunately, much needed and vital. 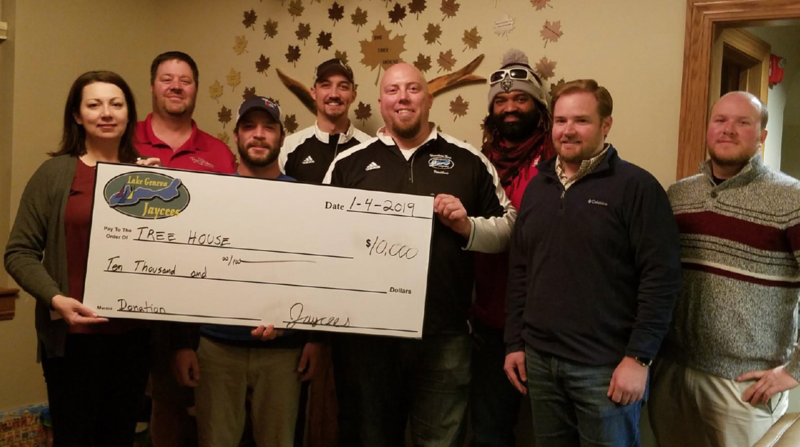 The Jaycees were very happy to help fund and advance their mission with a $10,000 total donation that is spread over 2 years. At the Photo-Op we were fortunate enough to tour the facilities and learn more about how the Tree House functions and operates.